All my planners raise their hands! Whoop whoop! 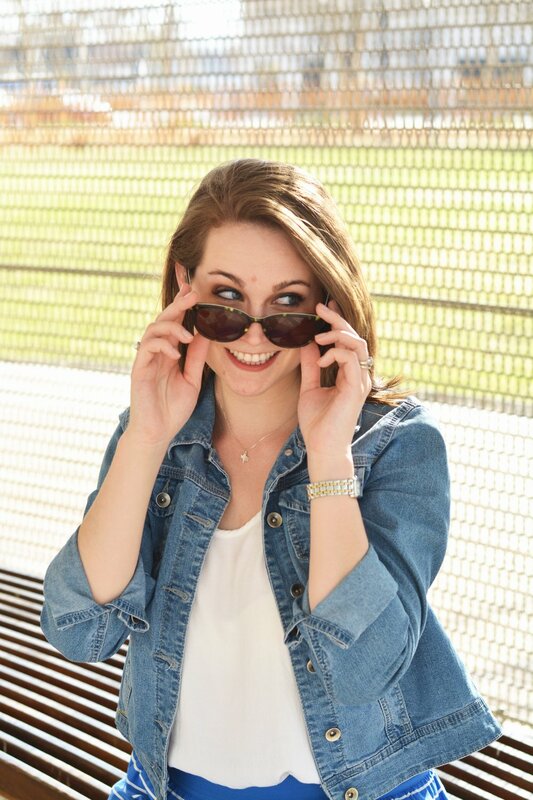 I see you, I recognize you and I appreciate you! We planner folk area a tribe in and of itself, lover's of all things organized and visual people who need to see and write the word of our schedule down in order for it to happen. I get you. I am that lady that loves shopping for organizational tools, it just makes me feel like I've got my world together! But I actually do use these tools on a daily basis. My schedule is color coded, there's a calendar on the wall for family life, alarms on my Google calendar for major appointments and meal planning lists on the fridge. I cannot function in an online calendar world alone. Pen to paper helps me process what's happening as does seeing what's coming up and writing out the to-do's for the week, month, etc. 1. There's the Erin Condren, a beautiful custom designed option, made to your specifications for her Life Planner. There are many, many designs to choose from and you can adjust the layout to fit your hourly or weekly desires. She has so many additional doodads to choose from, it feels like scrapbooking for your life. I wouldn't mind trying one, but I worry the bulkiness of the planner would frustrate me after a time. 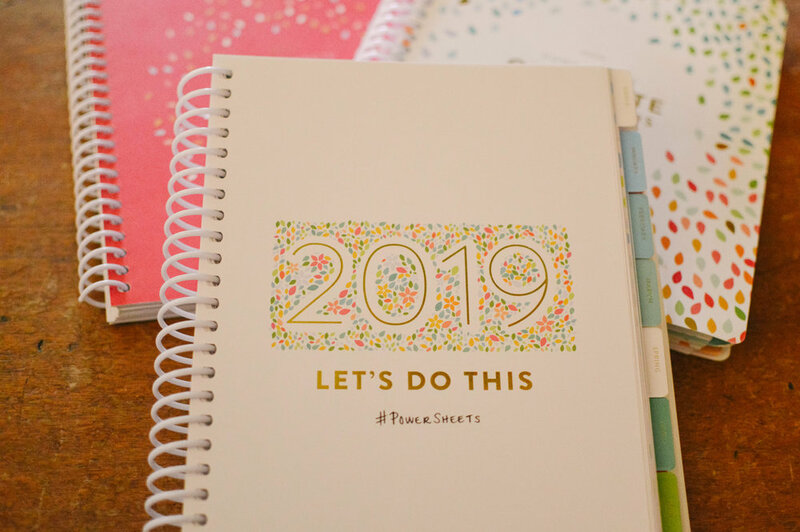 She does offer petite journals for meal planning, baby information and more as well as wedding planners, teacher planners, academic calendars and just monthly calendars plus so much more! In short, I'd give it a whirl someday and I always go back and look at it each year as an option. 2. 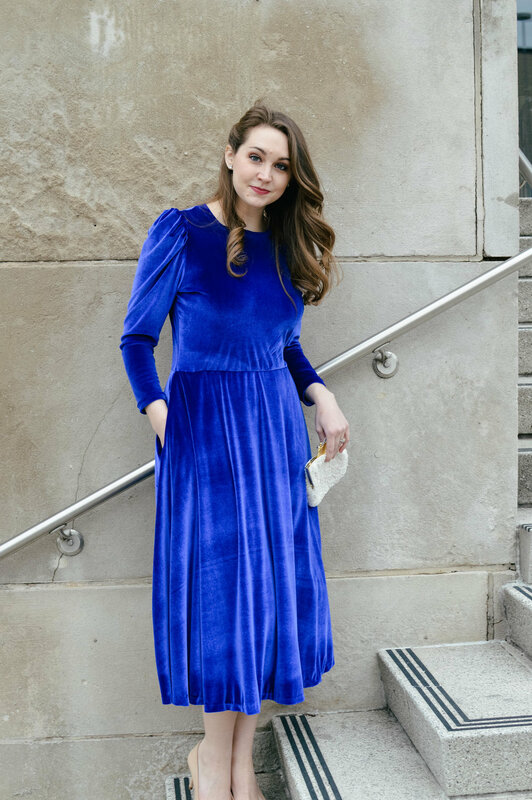 Emily Ley is another one that I like and one I'd be interested in switching to when there is a bigger shift in my life set-up. 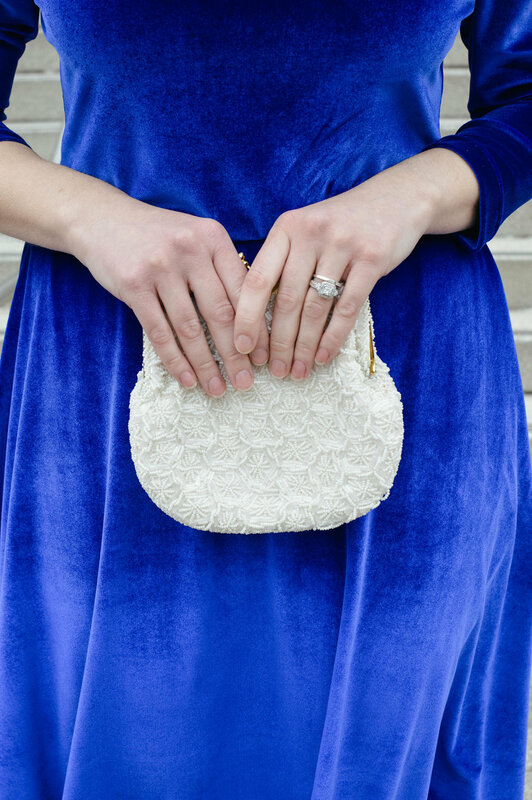 The Simplified Planner is refined, elegant and chic with a few pops of fun here are there. Where Erin Condren is bright and colorful, this one tends to fall under a more mature feel and color scheme. Bound or spiral, you can find a daily or weekly set-up that fits your style. Her daily only goes to 9 pm which is a bummer for me as so many things go past that time like rehearsals or shows or auditions. 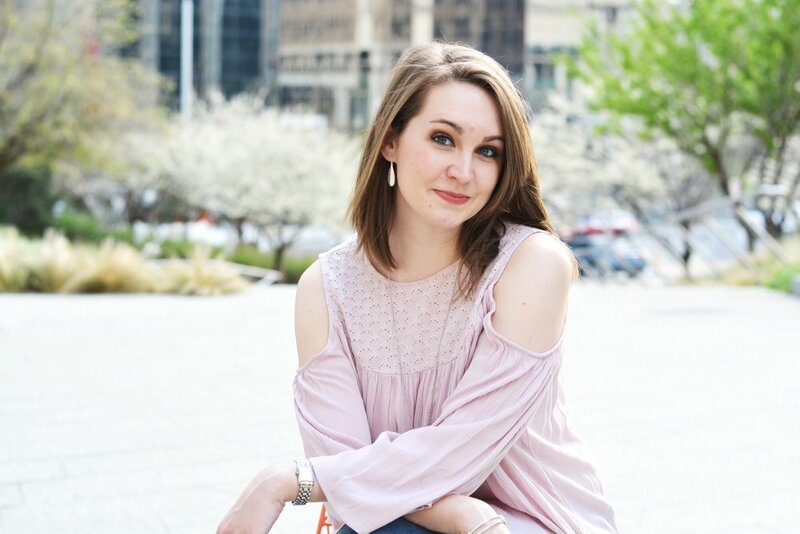 Emily is very much into simply tracking and keeping up with your life and to me, it seems like a great fit for mom's who need to coordinate so much. It's definitely a planner to look at someday, but maybe just not yet for me. 3. May Designs is one I found through a podcast series. I heard an interview with Mica May on the Jess Lively show a couple years back and I was so fascinated by her story I went to check out her products. They are fantastic! May Designs has journals and planners that are all customizable and pretty to boot! She has a ton of options to pick from and there are several designs to choose for setting up the calendar that you want. I personally am interested in just getting one of her journals to have on hand, but my journal collection is currently out of control. She also offers leather folios for the journals and tumblers, screen designs and more. I still shop frequently through her merchandise though! 4. 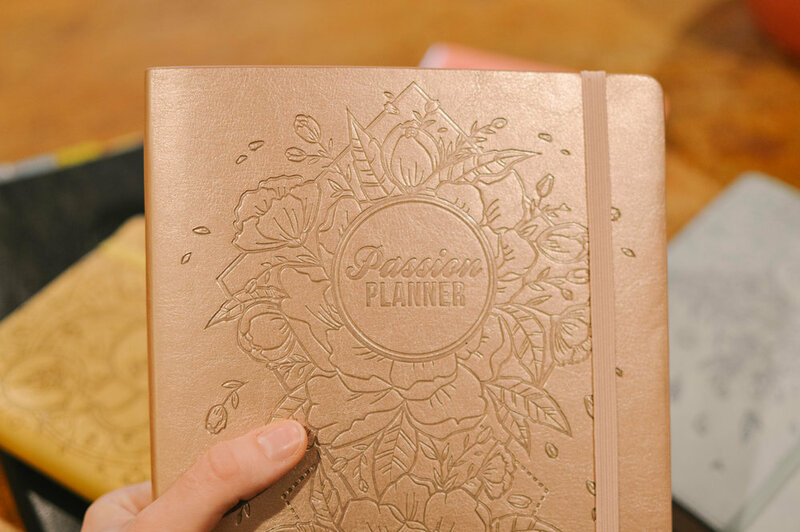 Day Designer is another popular brand of planners designed by Whitney English. If you are wanting something similar to the Simplified Planner, this is your stop! Day designs runs January to December and she also offers academic planners as well. Unlike some of the others, there is an option to have a leather planner with refills, a la Franklin Covey if you were a fan of that back in the day. I still have my grapefruit pink planner case from Covey--it's too pretty to pass on! It's a daily planner to really help you get your life on track with intentional planning and if you're someone who is trying to hit big goals or make daily habits, this may be the planner for you! 5. Over the last four years I've been a faithful Passion Planner consumer. A good friend showed me the website when she stumbled upon it the very first year it opened and just… wow. It's truly built around following your passion. The road maps to making your goals was very helpful in starting a year out right. In truth, I've used them less in the last couple years as life has been a bit of rollercoaster but I found that the format really gave me what I desired. A weekly layout with a monthly insert and each week offered a way to divvy up personal and work to-do's nicely. I set an intention every day and thank goodness, the hours go past 9 pm! I am in love with the set-up and how it keeps me accountable. BONUS: Last summer I tried out a six month run of the Cultivate What Matters Goal Planner. This is not so much a planner for weekly and daily life but a planner that helps you set intentions with how you want to spend your time. In short, it's what helps assist your planner. I loved using it so much that I bought a yearly one last November and have loved using it each month! It's taught how to break down my bigger goals for the year, for the month, the week, and the day. I've learned a ton about what is attainable and what is not. Turns out you can't save the world and cook dinner all in one day, but I can make a step towards my goals and have a date night with my husband if I prioritize well. Far left is a 6 months one I started with first back in 2017 then did the full year for 2018 and my 2019 just came in! The Cultivate What Matters Goal Planner focuses on finding the balance in what you need in relationships like family and friends, work, health, finances, spiritual and recreational needs. I'm not going to lie, I have a hard time balancing all of these things and this book really helped me figure out how to do that better without stressing. At the beginning of each month, it's listing out everything you want to accomplish and then there is a heart and brain dump essentially. I write out all that's on my mind or weighing heavy on my heart and its very cathartic. I can clear away the clutter and get focused on what can be done and break it down in bits that I can handle. From there, it's a matter of passing that information on to my every day planner and it's helped me immensely! I know, two life planners seems like a lot especially with my love for the Passion Planner. For me it's been the best to help me balance all the things I want to do and all the worries I have about time being split. Since I love journaling so much, this is a joy to spend some quiet time doing that in addition to planning out the month. 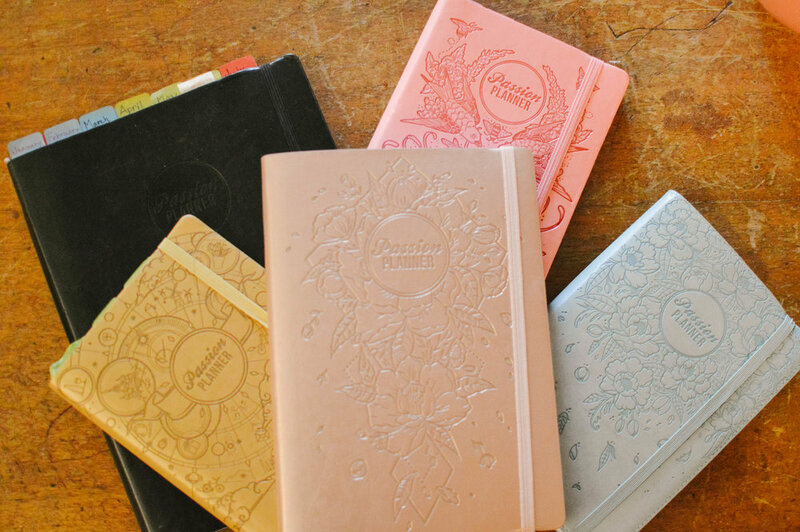 What is your favorite planner to use? I jumped on the bath bomb bandwagon a little late having only really discovered them a couple years ago. It all started off in this cute shop in downtown Rockwall, TX that sells their own and I really loved them--they smelled wonderful and it was a perfect treat when I wanted a night to sit, soak, and relax. But that's not the place that sells my favorite. Of course, if you've shopped at Lush, their bath bombs are equally divine and definitely designed with the body in mind using materials guaranteed not to cause infection or irritation to the skin. I love them, too, but I my favorite bath bomb doesn't come from this chain either. I actually found them totally by accident--isn't that how all great finds work though? On our trip to Charleston last year, we stopped through the Historic Charleston Market to shop and see all the local finds when I happened upon a booth with the most heavenly scent. This shop, Old Whaling Company had all sorts of scrubs, soaps and you guessed it, bath bombs. I immediately started picking up and inhaling each one, loving everything I touched. I ended up with about four or five to purchase and savored them over the next couple of months. After the last one was gone, I couldn't help but pine for more. Fortunately they ship (Duh, Julie, it's 2018--everyone ships!) so I hopped on their Etsy site just recently to order more and I can't wait to dive into my stash! I was so pumped to receive my fragrant shipment! Seriously, the box smelled like a spa, clean and relaxing. I wish our screens were scratch and sniff so you could smell this, too! They send you samples of soap to try and I'm excited to see how I like these two; One is bergamot and grapefruit and then magnolia is the other. 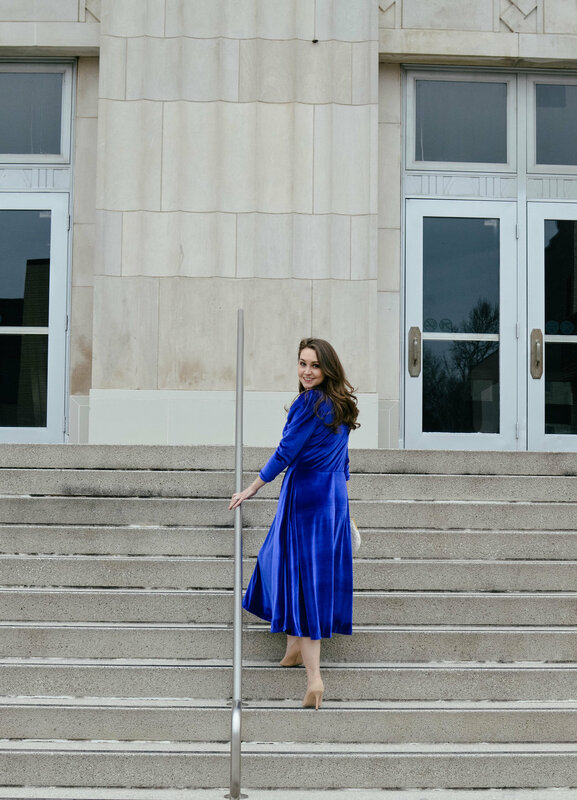 This company really does keep health in mind when they craft their products, try reading their story here of how the founder got into making their products. Finding a company that really is conscious of what goes into their products makes me feel like a cared for consumer and honestly, the last thing I want to do while I'm soaking is worry about what the heck is floating in my water. Penny just about went crazy with all the different smells! 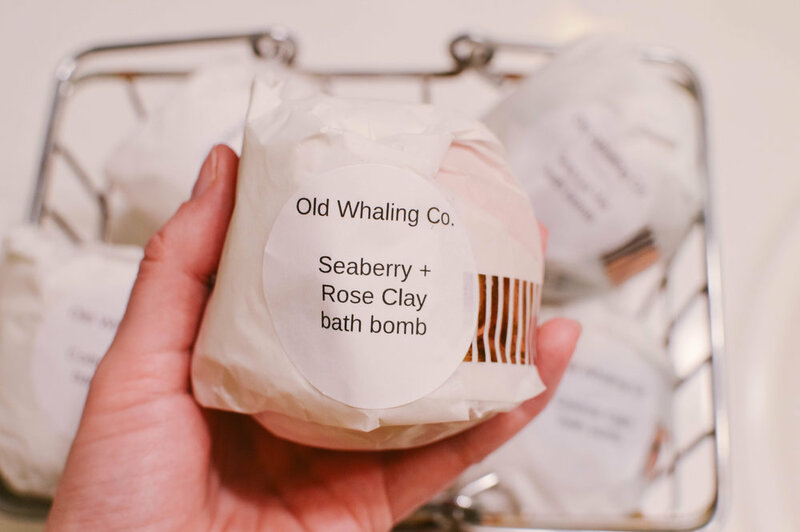 If you're like me, a bath bomb enthusiast, you really should check out Old Whaling Company! You can mix and match the scents in a bundle or try a few at a time. 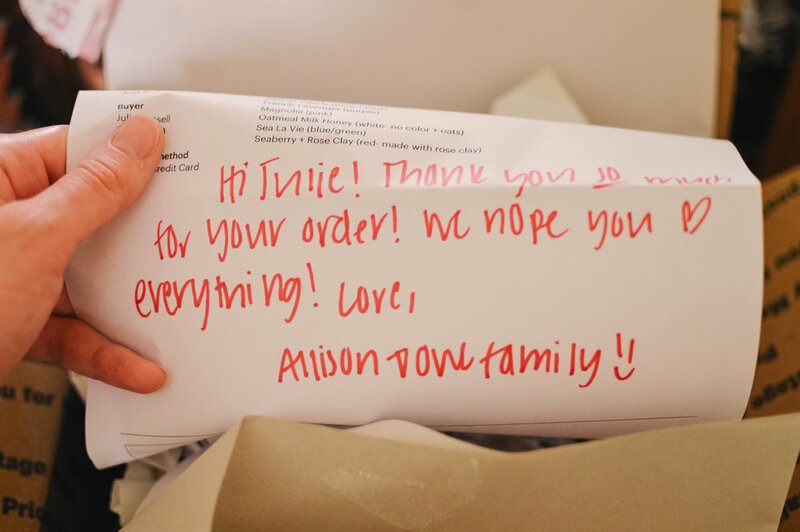 Shipping is quick and you're sure to get a hand written note and samples included as well--how thoughtful! The only real question now is which one do I start with first? Bath bombs or bath salts? Floral or clean? What's your favorite scent for a soak? I spy with my little eye something...yellow. Would you believe this gorgeous oasis is right here in OKC? 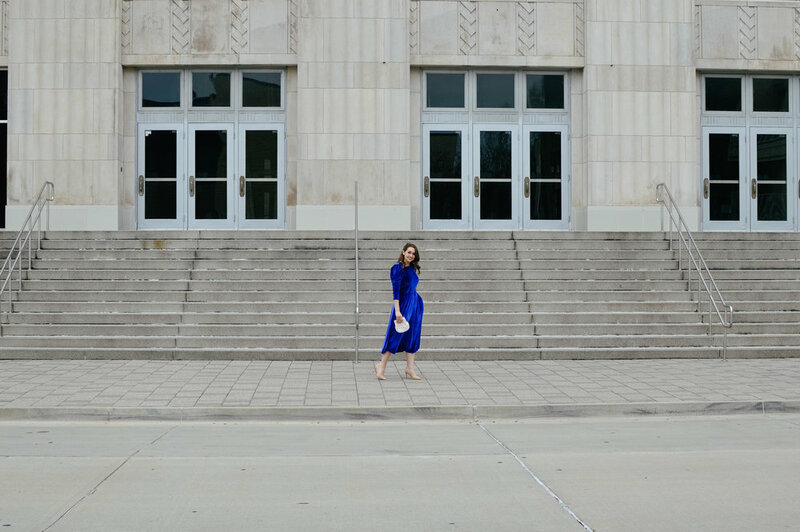 This little passion project of mine has really given me a reason to explore more parts of this city and I'm loving it! What's your favorite spot in town?